By now we’ve all heard the statistics that as much as two-thirds of all email is opened or read on mobile devices. But no problem – you’re using responsive design for all your email campaigns, so you’ve got that covered, right? Why is that so? Is it because, as some data suggests, that B2B users scroll through and review email on mobile devices but actually read and engage at their desk? Or is it because responsive design, broadly accepted as “best practice” when it comes to mobile-friendly email, is no longer enough? 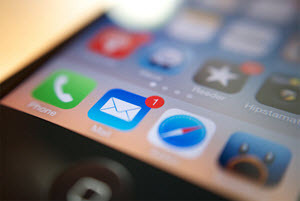 In order to be successful in a marketplace increasingly dominated by mobile users, B2B email marketers must do more than just implement responsive design in order to ensure a user experience that truly drives engagement. 3. Offer email fulfillment so mobile users don’t have to download large files to their devices. 5. Describe the user experience in the email – make it clear how easy it will be to register, download, view, etc. 6. Always pre-populate landing pages for known contacts and minimize progressive profiling for mobile users. 7. Use drop-down lists or radio boxes vs. text fields on registration forms. 8. Shorten email copy for mobile users. 9. Shorten subject lines for mobile users (to no more than 30 characters vs. 40 characters for desktop). 10. Always include pre-header text to summarize the key message, offer, and call to action. 11. Use larger call-to-action buttons. 12. Consider a “save this offer” or “remind me” call to action so that the user can choose to download the content at a later time. *Note: we’ve tested social sign-on on client campaigns and thus far have seen minimal impact. This entry was posted in B2B Marketing, E-mail, email design, email marketing, Landing Pages, Mobile Marketing, Uncategorized and tagged B2B agency, B2B email marketing, b2b email marketing agency, B2B email tips, B2B Marketing, b2b marketing agency, email marketing best practices, email marketing tips, mobile marketing, mobile-friendly email, responsive design on April 22, 2016 by Howard Sewell.